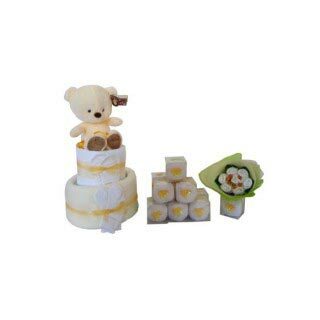 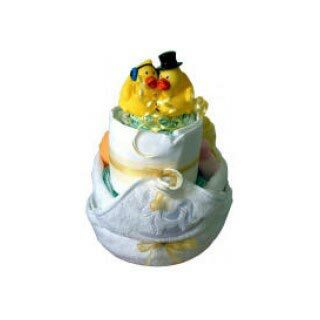 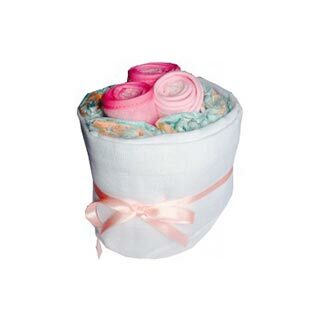 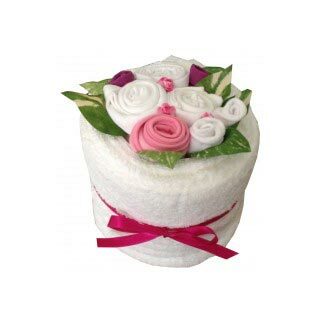 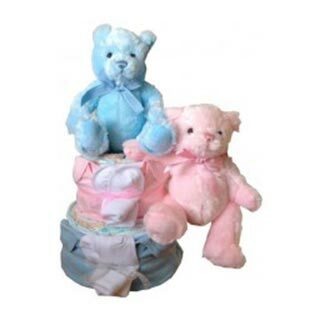 The 3 Tier Pink Nappy Cake is a pretty, yet practical baby gift for any new parent to receive. 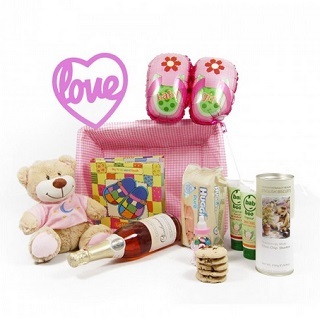 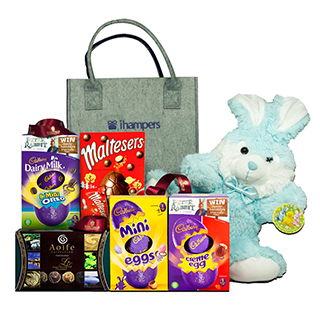 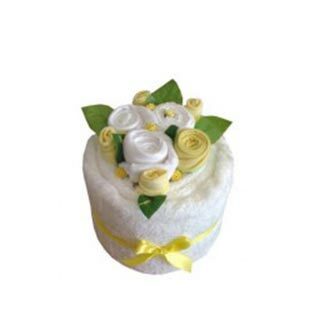 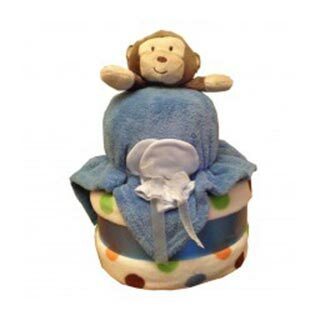 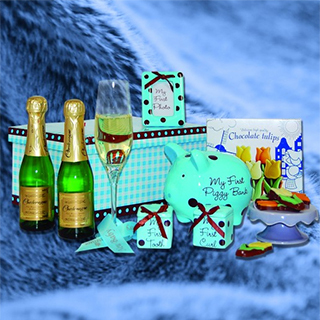 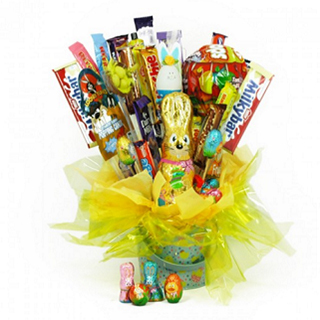 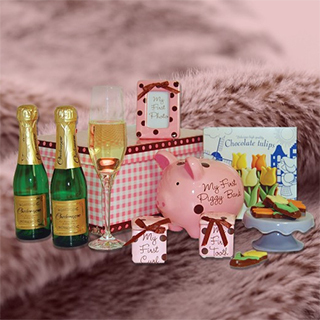 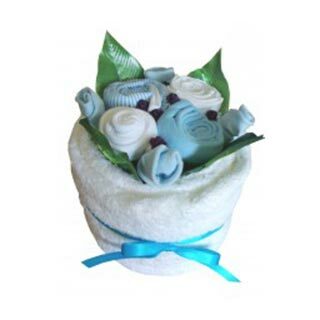 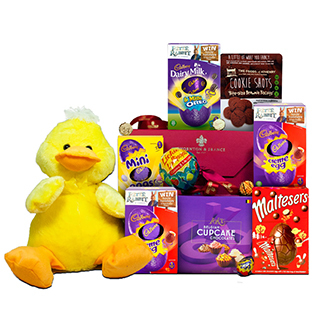 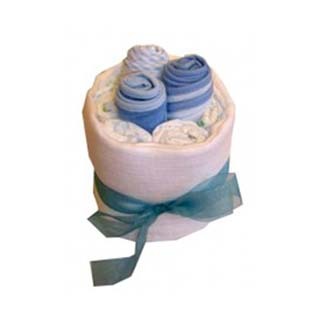 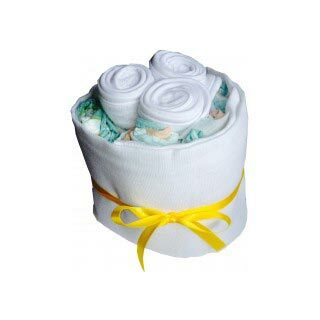 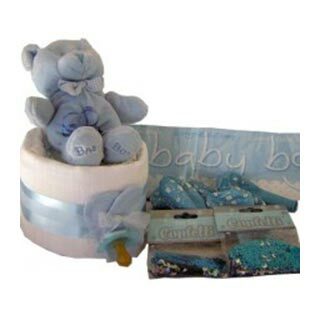 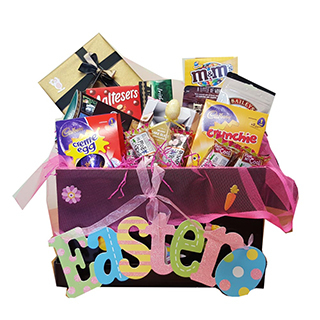 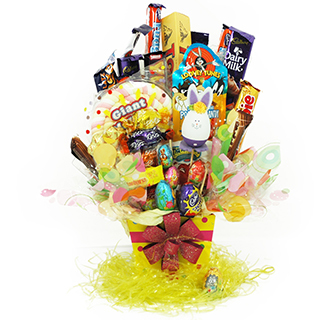 It packed with items such as Nappies (size 3), muslin squares, bottle brush and other useful baby items. 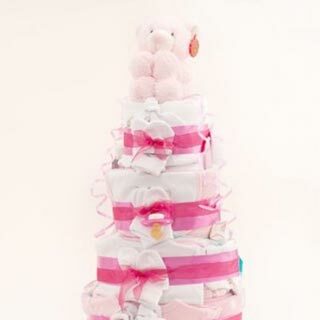 Our 3 Tier Pink Nappy Cake is beautifully presented with Stylish Cellophane Wrap with Ribbon.